Governor O’Malley recently signed the executive order with the immediate goal of reducing drug overdose deaths by 20 percent before 2015. The order calls for the state to establish an overdose prevention council. The council will attempt to identify areas where overdoses are on the rise, and to assure that these areas have the law enforcement and treatment resources necessary to prevent drug fatalities. The council will specifically focus on heroin and the deadly drug fentanyl, which is often mixed with heroin. Fentanyl is a common and cheap additive to a large percentage of the heroin that is sold on the street, and can be even more deadly than the heroin itself. It is traditionally used in pain relieving patches for patients that are resistant to traditional pain killers, but recently fentanyl started appearing as an additive to “cut” street level heroin without sacrificing potency. The increased number of fentanyl related deaths in Maryland speak for themselves, as there were 3 in June of 2013 and 17 this past June. The efforts of the executive are to be commended, but their effectiveness remains to be seen. The price of heroin is not going to skyrocket anytime soon, and therefore it will continue to be available. And as is the case with the rest of the war on drugs, if you arrest a few dealers or bust up a trafficking ring another will come along in no time. Establishing a committee sounds nice, and gives politicians the rhetoric that they are tackling the problem head on, but results are all that matter. If eliminating overdose deaths is truly what the government wants to do, they could make anti overdose medicine and education readily available out on the street, rather than simply write a few checks for law enforcement to make drug busts. The blog will continue to follow the increasing overdose problem in Maryland, and any legislation that will follow. We may post a follow up article on heroin and fentanyl as well. Benjamin Herbst is a Maryland criminal defense attorney who specializes in drug crimes and DUI. 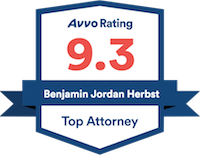 Contact Benjamin any time for a free consultation about your case at 410-207-2598. Heroin Related Deaths Cause Overdose Numbers To Spike In Md. www.wbal.com.